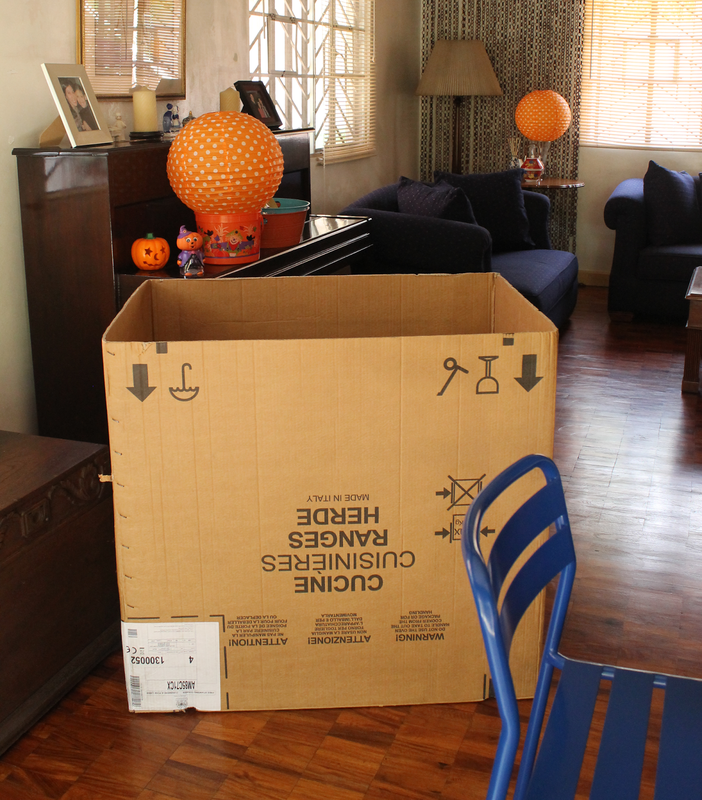 We've been thinking of making a playhouse made of cardboard for my little cousin when he comes to visit us today. It took us about a day to make this. All the materials we used, we found around the house. 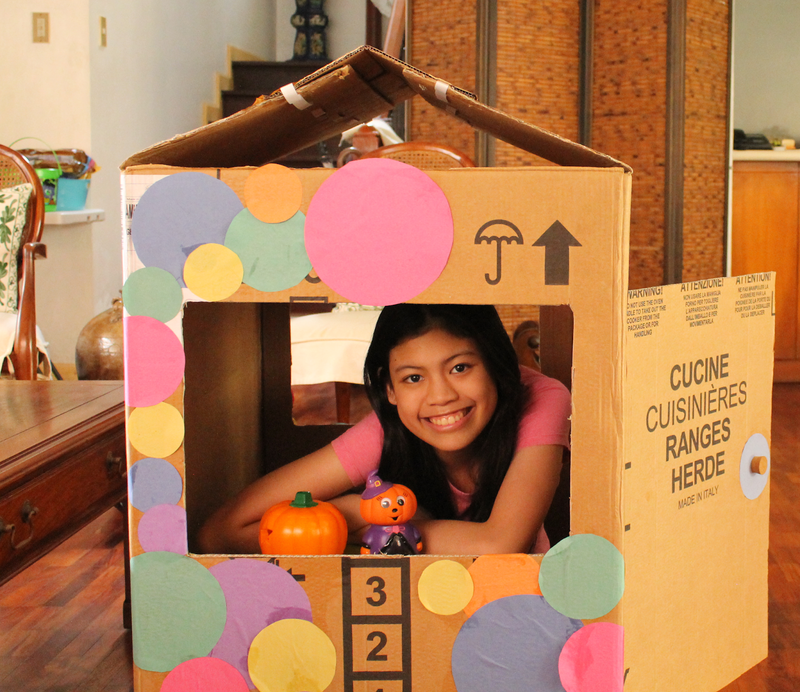 We ran out of glue so some parts aren't done yet but we're so excited to show you how it turned out! 1. Cut out windows on two sides of the box. 2. Cut out a door, but not all the way through. Leave one side still attached to the box so you can swing the door to open and close. 4. We have lots of construction paper at home. We cut out circles in different sizes and colors. 5. We mixed regular glue with a little bit of water and used a brush to paint the glue over the box. Arrange and stick the circles on. 6. Create a doorknob out of an old wine cork. Secure with superglue. Now we're all ready for our little guests : ) It can even come in handy as a photo booth for me and my friends! I'm really looking forward to the rest of today, 'cause I'll be seeing some family and close friends. Hope you all have a very happy Halloween! This is so much fun! So cute! Enjoy your Halloween celebration and long weekend! Hi, Mars! Thank you so much : ) Hope you drop by again soon!